The latest release from former Crash City Saints guitar player Matt Massuch operating under his moniker Crawling Through Her Ghosts. If you dug the his first album I posted a few years back, you'll absolutely love this release. Matt has continued to develop his lush instrumental dream pop/ambient soundscapes and the result is absolutely beautiful. 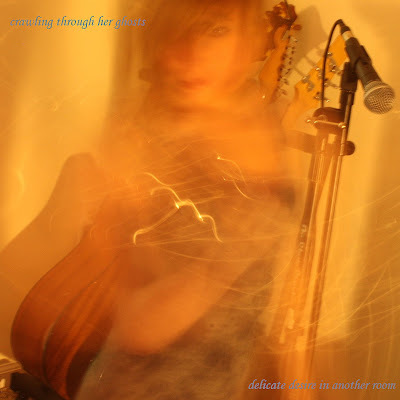 Crawling Through Her Ghosts offers a nice alternative to the ear splitting sonic assault of Oliver Ackermann inspired shoegaze without coming off as a cutesy version of Zwan like other groups that probably cite Slowdive as a major influence. The UFO Club/Night Beats - Split 10"